I´ve been really excitedly planning the autumn/winter schedule for some time now, and was hoping to share a Yoga & Supper Club special event with you this October – however, with a lot of to-ing and fro-ing and exploring many different solutions, our last venue just fell through, which is a shame, alas, prices for renting place with a kitchen in Bergen are no joke! Many of you know my ethos is about making yoga accessible to all. I have taught countless free classes (many at my own expense) and despite my rising rent costs, I have always offered and maintained cost-effective prices as part of my service in the hope that people are able to come along to sessions with me without the barrier of big costs. I feel really strongly about people finding their own way on their journey. I´ve written more on that here. For 3.5 years in Norway, I fought to do what I wanted to do, experiencing glass ceilings in most rooms I entered. Told that I was “fake” because I smiled and I was kind. That I shouldn´t be nice to people as Norwegians didn´t want that (…I mean…! ), told to “toe the line” and do things as they have always been done. Told that my way of sharing yoga was not the “proper” way. That i should find a guru. Not play music. Not stick out….which was almost certainly a challenge being brown with really big hair! I was stolen from, (wrongfully) accused of stealing , copied (apparently the sincerest form of flattery? ), used and ignored. ..It was a confusing, and dare i say, soul-destroying time. But it also made me (forced me!) to get clear on what i was trying to do, why i was doing it, and even more determined to achieve it. In my humble experience, i fought not only to do what I wanted, but also to be who I was, always with challenges at every level. It does a number on your confidence. But I was lucky. A (for want of a better word) tribe which became a community of amazing people got what I was trying to do and share with the world. They accepted me and were open to exploring something a bit different. They broke down barriers and taught me about the strength in vulnerability and the willingness to be open. And they still continue to get me. Whether they have supported me either from day one, or from yesterday. And I am so grateful and thankful for that. For you. Not wanting to put these folks in any kind of box as those who “follow” in some egotistical kind of fashion but rather, people who I stand with, who show me what is important. Who remind me why it is I want to do this kind of work. So. For this month, the Yoga & Supper Club event is not to be. But I surely believe that with doors closing, others will open and i´m trusting in that. 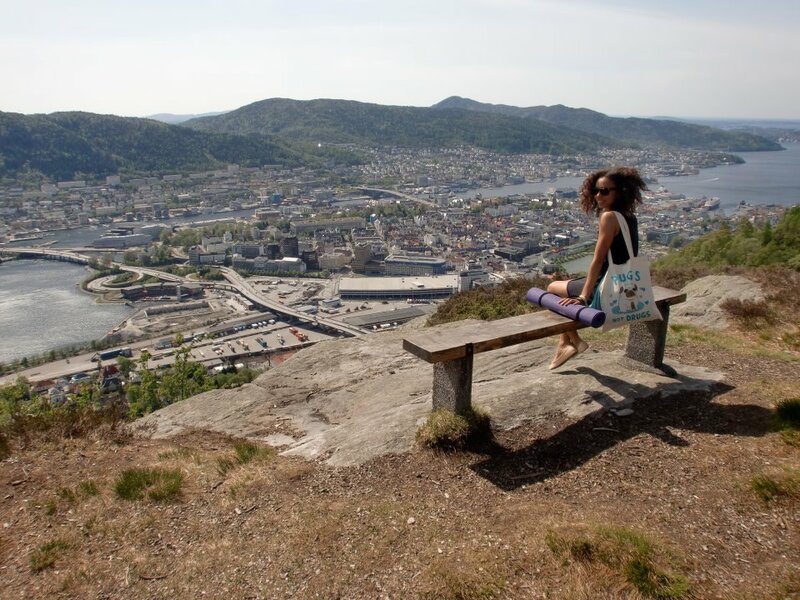 There is one place i´ll be having a look at on my next visit for an event, plus in November, i´m really excited to announce i´ll be bringing the Yoga Day Retreats to KODE in Bergen City Centre, which is really exciting. I´ll also be back at Herosalen, something which is super great but has also been a bit uncertain due to other bookings at the venue (hey, i´m glad it´s popular as it was a hidden gem that was hardly used when someone kindly showed it to me. Viva Herosalen!). But in honesty, even maintaining some kind of consistency with that has been a struggle. With this move, it has meant I can focus on developing what i´m offering. On refining and not compromising authenticity. On staying open. And also explore other more flexible ways of sharing. I´m starting to offer a limited number of Skype Yoga sessions where you can practice with me online for a super personal service. And i´m continuing to Kunst + Yoga at KODE – a project that has been ever growing over the last few years. I´m grateful. The Brighton Retreat in January is something we´re considering, but we will only go for it if the demand is there. I hope to never give up, a mantra my dear friend Helga always reminded me of, despite the darkest times of trying to follow my dreams living in Bergen. I will keep striving to share the projects that stem from my deep desire to offer tools and ways for people to explore and deepen their relationship to themselves, and hope that you´ll understand that although i´m currently not as regularly in Bergen, that you´re still in my thoughts and i´m working hard to constantly keep offering what I can. As long as I can afford to keep coming back, I will. It´s in my blood! Without this becoming an explanation of sorts, this is an offering of intention and remedy to those ever-wonderful life lessons – dealing with disappointment. For me, it is truly about the balance of effort and surrender. I´ve learned that as much as we might plan the hell out of something, think we´re almost at the finish line, something can fall through. It might not work out. The unexpected can plop on your face. But still, that can be the most wonderful thing to happen to us. To remind us that nothing is really certain. That attaching all our expectations and projections onto something will probably lead to disappointment. And that flexibility in our way of approaching things (even disappointment) can make us a lot happier. I´ll never stop trying or working to create offerings. But i´ll certainly try to be more flexible in the way I read the signs – some things are just not meant to be, for now. This is one of those “on and off the mat” kinda things. I hope you receive it with love. This entry was posted in inspiration, lifestyle, sound advice and tagged Bergen, bergen expat life, dealing with disappointment, following your dreams, Herosalen, KODE Bergen, kunst yoga, life in Norway, never give up, Norway, norway days, take care of you, teaching yoga, yoga and supper club, yoga Bergen, yoga with dionne. Bookmark the permalink. ← Newsflash: Yoga Disco @ the Lick Warehouse, Brighton next week! I am really sorry to hear it hasn’t been easy teaching yoga in Bergen 😦 I fell in love with yoga when you held classes at SiB. It was so different than anything else I had tried before, and so refreshing. I remember particularly a day when we had a yoga class outside in the city park one fine morning in May. That was gorgeous, and I ‘flew’ back home inspired and invigorated. Thank you so much for what you are, and I hope things work out for you in Bergen. This rainy city needs more people like you! On a different note, I am not sure what locations you have checked already and what the exact requirements were, but there is one I thought could be good: http://www.lyngbo.no/Klubbhuset/default.aspx The place is quite big, has a kitchen and costs 1500 kroner on any day between Monday and Thursday at afternoon hours (until 22.00). It is not in the downtown though, but it is max 15 minutes away by bus, and the bus stop is located very conveniently right outside the club.